April 26, 2017, 7:00 P.M.
Our principal characters are a children’s theater director, a doctor, a rabbi, a TV journalist, an investigative reporter, and a lawyer turned medic and her soldier husband. 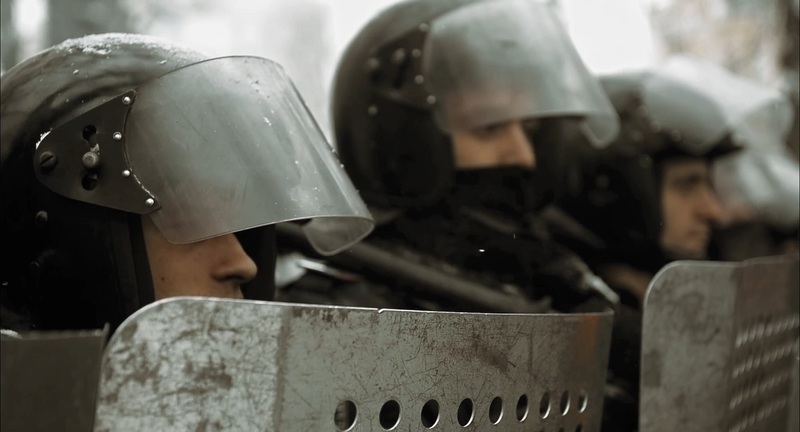 Their lives were transformed by the tumultuous, three-month revolution on the Maidan, which ended in the death of 123 protestors and the flight of corrupt President Viktor Yanukovych. When Russia retaliated by annexing Crimea and invading eastern Ukraine, our subjects went to war to defend and remake their country. Our film depicts this intense and on-going struggle, which has so far killed 10,000 Ukrainians and displaced 1.9 million refugees. 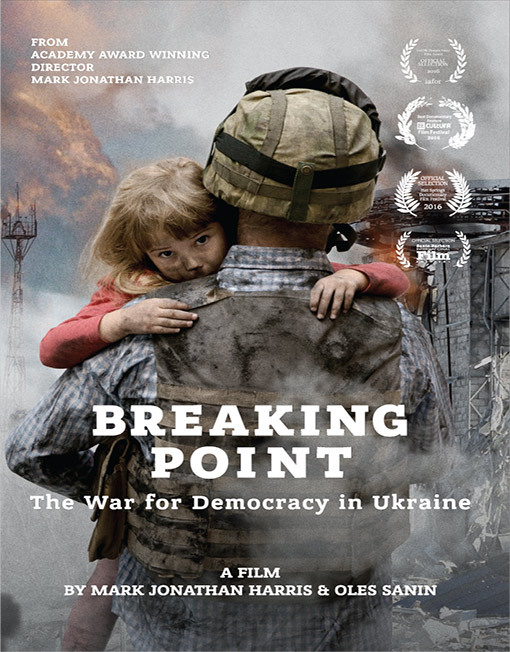 Breaking Point is the dramatic and inspiring portrait of people willing to give up their private, normal lives to unite in a collective effort to bring the rule of law and democracy to their country. Their battle to wrest power from the autocrats and plutocrats who control their governments is a struggle that is being waged around the world, from the Mideast to America. The outcome affects not only the future of Ukraine, but the future of democracy throughout the world. Provided courtesy of Dark Hollow Films. Not rated. Running time: 98 minutes. 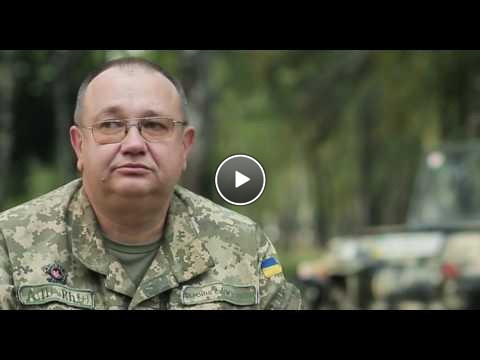 In English, Ukranian, and Russian, with English subtitles. Mark Jonathan Harris is an Academy Award-winning documentary filmmaker and Distinguished Professor in the School of Cinematic Arts at the University of Southern California. Among the many documentaries he has written, produced and/or directed are Huelga!, the landmark film about Cesar Chavez and the Delano grape strike (1968); and The Redwoods, which won an Oscar for Best Short Documentary and helped establish a redwood national park (1968). The Long Way Home, a film he wrote and directed about the period immediately following the Holocaust, won the Academy Award for Best Feature Documentary in 1997; and Into the Arms of Strangers: Stories of the Kindertransport, which he also wrote and directed, won the Academy Award for Best Feature Documentary in 2000 and was selected by the U.S. Library of Congress for inclusion in its National Film Registry. Unchained Memories: Readings from the Slave Narratives (2003), a documentary that he wrote on slavery in America, was nominated for an Emmy for a Nonfiction Special and Harris was nominated for Outstanding Writing for Nonfiction Programming. He also wrote The Cutting Edge: The Magic of Movie Editing, a documentary about editing produced by BBC-TV, NHK, and STARZ, which is shown in film schools around the world (2004). In 2007, he produced Darfur Now, a film about the humanitarian crisis in Africa, which was nominated as best documentary of the year by the National Board of Review and the Broadcast Film Critics Association and won an NAACP Image Award. Living in Emergency: Stories of Doctors Without Borders, a film he executive produced, premiered at the Venice film festival and was shortlisted for the 2011 Oscar for best feature documentary. Code Black, another documentary he executive produced about ER doctors, won the Grand Jury Prize for Best Documentary at the 2013 Los Angeles Film Festival and became the basis for the CBS series of the same name. In 2010 the International Documentary Association honored him with its Scholarship and Preservation Award. He holds the Mona and Bernard Kantor Chair of Production at the School of Cinematic Arts, where he heads the documentary program. Paul Wolansky has worked as a writer on award-winning films including The Guide (Povodyr), The Monkey’s Paw and Just Married. The son of Ukrainian immigrants, his family was severely persecuted by Stalin. An Associate Professor at the Dodge College of Film and Media Arts at Chapman University, he teaches all levels of screenwriting and has previously taught at the School of Cinema-Television at USC and at the German Film and Television Academy in Berlin. If I were to choose one image that captures the essence Breaking Point, it would be Eva Yanchenko, illuminated by the fires on the Maidan, Kyiv’s Independence Square, embracing an anonymous figure in the midst of the February battles. A lawyer turned medic during the tumultuous events in Ukraine, who then joined her husband in the war against Russia in the East, Eva Yanchenko embodies the courage and commitment of thousands of ordinary people fighting for democracy in Ukraine. As Sergei Loiko, Moscow correspondent for the Los Angeles Times, says in the film, “The war is the armed continuation of the Maidan revolution…the spirit of the Maidan at war.” Loiko came to Kyiv on assignment, planning to stay for only a few days, and was so impressed by what he witnessed that he ended up devoting two years of his life to covering the revolution and the war. Breaking Point is the story of these dramatic events as seen through the eyes of several people whose lives were changed forever by their experiences: a children’s theater director, a doctor, a soldier, a rabbi, a TV journalist, and an investigative reporter. 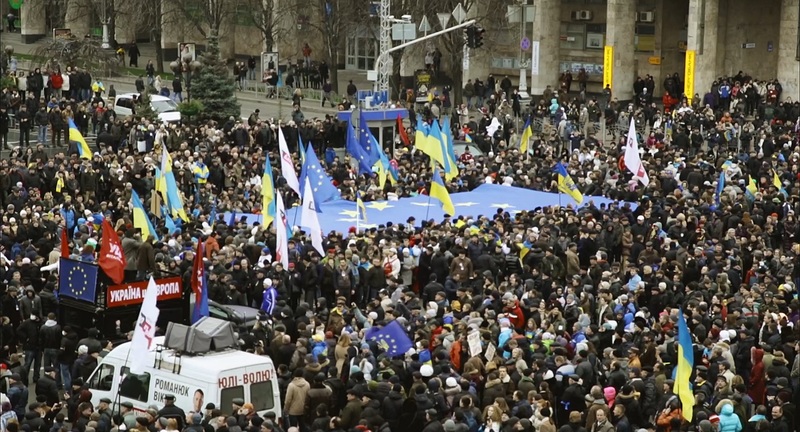 All risked their lives to create a more democratic and equitable Ukraine. From my earliest days as a filmmaker, I’ve been drawn to stories of people battling injustice and oppression. The first significant documentary I made, Huelga!, chronicled the grape strike in Delano, California, and Cesar Chavez’s efforts to win the right of collective bargaining for farmworkers. I saw then how powerful it can be when people join together to transform their lives. The same transformation took place during the Maidan Revolution and the war that continues today, despite the ceasefire agreement that Russia continually violates. Although events in Ukraine may seem of little importance to those of us living in the West, I hope the film will demonstrate why we should be concerned about the struggle. As the experts in our documentary point out, it’s not just the future of democracy in Ukraine that’s at stake; it’s also the future of democracy in Europe, which Putin is working vigorously to undermine. The film explores some of the propaganda and disinformation techniques Russia is using to create disunity and destabilize Western governments, at a time when democracies everywhere, even in the U.S., are facing extremist and demagogic threats to our values and institutions. Above all, though, Breaking Point is a human story, a story of people who are willing to sacrifice their lives and families to create a better future for themselves, their children, and their country. It’s a film about people fighting for their own dignity and for a chance for a better life. The people we filmed moved and inspired me. I hope they will have the same impact on audiences who watch the film. 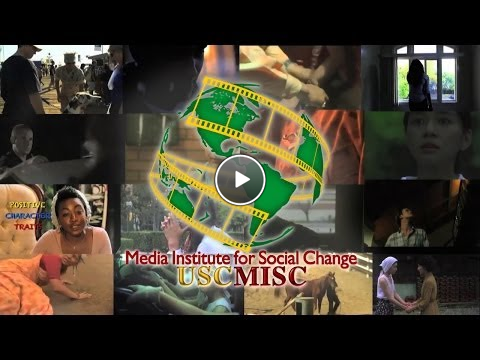 The USC Media Institute for Social Change is a nonprofit organization of industry professionals at the University of Southern California School of Cinematic Arts who use cinema to create an awareness of social issues and inspire positive actions throughout the world.With a mission to support emerging media makers who weave pro-social messaging into their stories, USC-MISC seeks to change the world one film at a time.